Since 2010 base has consistently won awards, or been shortlisted for them, placing us at the very forefront of the best property services available in the UK. 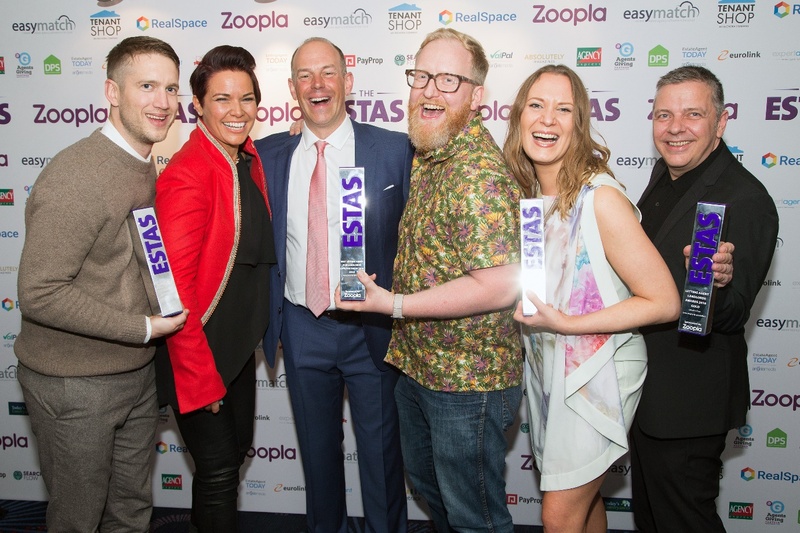 To date base have been recognised as ‘Best Lettings Office in the UK for Landlords’ (ESTAS 2016), ‘Best Lettings Office in London for Tenants’ (ESTAS 2016), ‘Best Lettings Management Company in the UK’ (Letting Agency of the Year Awards 2015) to name but a few. We have also been recognised for our Customer Service, Marketing, Website, Innovation and more. You can read about all our awards to date on our rewarded page. Get your instant, online valuation now by clicking here. In order to get the most accurate appraisal of your property, we strongly recommend scheduling a free on-site appraisal. This enables us to give detailed feedback specific to your property- this will include advice on marketing and achievable rent levels, advice on regulatory compliance and tips on ensuring your property attracts the highest rent from the best calibre tenants. Contact us here to arrange your free property appraisal. One of our primary goals since we launched is to create the agency and services that Landlords and Tenants alike want and love. That is why we are at the forefront at the innovation of full-service estate agency both in London and across the UK. This has led to the development of unique service offerings such a ‘MainTenants’ (our property life skills for Tenants- find out more in the video above) and base/ic appliances (instant on-call appliances). It has also driven our investment in to PropTech to deliver tomorrow’s services today. Just some of the PropTech adopted to date includes: Property File (a portal & app for Landlords & Tenants), Virtual Tours (for marketing & inspection reports), latest website design & tech (this is already our 3rd website since 2004) to name but a few. Giving Landlords & Tenants a public voice about our services has always been a cornerstone to the transparency we offer here at base. In fact, in 2010, we were one of the very first agents in the UK to actively encourage everyone that uses our service to review us, independently and online. Since then we have collated hundreds of glowing reviews from both Landlords & Tenants delighted by the different ways we do things. You can read some of these on our reviewed page or simply type ‘base property reviews’ in to your search engine (e.g. google) to find many more. We are proud members of numerous trade regulators giving you the peace of mind that you are using professionals & experts. Find out more here. Whatever service you pick with base you can do so safe in the knowledge that everything we do for you as a normal undertaking is included in our fees. Find out more here. Here at base we have one of the most comprehensive and technologically advanced digital marketing packages in UK Estate Agency. You can find out more here. Easily monitor and manage your entire portfolio with us using our free Landlord portal ‘Property File’ available 24/7/365 from any internet connected device. You can find out more here. Unlike other agents who often earn commission from contractors or apply surcharges to Landlords we don’t earn a penny from the vast majority of our contractors and suppliers. In fact, we use our portfolio to secure the best possible rates for our Landlords. Whether you are a Landlord looking to rent out your home or have invested in to one of London’s many studios, lofts and houses, the base team is here to assist you in every aspect of your London rental career. Contact us today for a FREE PROPERTY APPRAISAL!